Handbuilt advanced engineered and lightweight Altair 1 aluminum compact frame. Advanced Shimano Sora and MicroShift has 24 speeds, gives you most of the shifting performance of a Shimano drivetrain without the budget biting price. 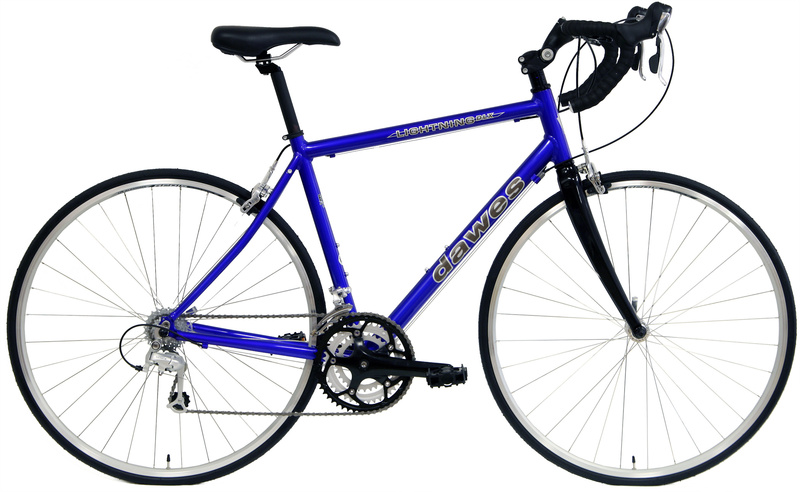 The Dawes Lightning DLX can be set up for a comfortable upright position. Want to get more serious? Turn a few bolts and you have a lower position and a competitive racing machine while still having the low gears you need to flatten most any hill or mountain pass and headwind. Then simply adjust the stem and seat height to your liking and ride happy. XSmall = standover 28" fits most riders 4'11" to 5'3"
Small = standover 30" fits most riders 5'4" to 5'6"
Medium = standover 32" fits most riders 5'7" to 5'9"
XLarge = standover 33.5" fits most riders 6'1" to 6'3"
Your Factory Direct Price is only $419 with UPS Ground Shipping Included in that price. 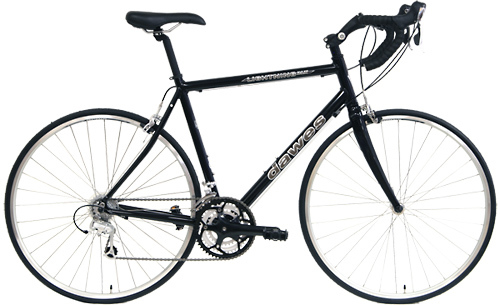 Compare to Trek, Giant or Specialized road bikes with similar Shimano parts which sells for up to $900 plus local taxes.